California lawmakers this week killed a pending proposal that would have allowed more cities there to expand rent control policies. After hearing testimony from landlords, including the California Apartment Association which offered rigorous opposition to the measure, the bill to expand rent control was denied by a 3-2 committee vote. A statement released by CAA indicates that more than 400 landlords spoke out about the contentious issue at the committee hearing, outnumbering the 300 tenant advocates who appeared. According to the CAA, the committee vote will suspend any further action in the current legislative session. However, tenant advocates, including ACCE Action, now are actively campaigning to bring the issue to a statewide voter initiative. 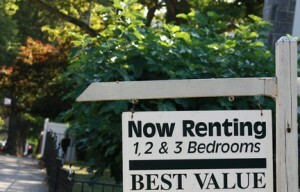 On average, renters comprise over 35% of the population. Current law, referred to as the Costa-Hawkins Act, prohibits local governments from enacting rent control on units built after 1995, along with single-family homes and privately-owned condos and townhomes. This law also requires all rent control ordinances to allow the rental property owner to increase the rent to market rate after a tenant moves out. Sixteen California cities currently have some form of rent control, including L.A. and San Francisco. The CAA argued that allowing rent control to spread to other cities within California would scare investors away from rental properties and reduce the number of apartment construction projects, which would only serve to exacerbate the affordable housing shortage. Tenants, on the other hand, insist that limiting rent increases — and forcing landlords to cut profit margins — is the only way to keep housing affordable.